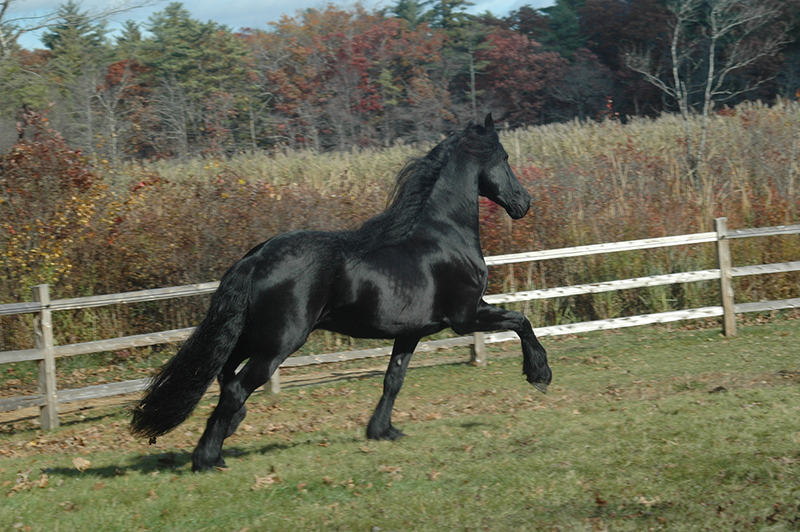 These horses were imported and sold by Hennigan Friesians to Andrew Sullivan of Protectowire Fire Systems. Shawn and Andrew went to school together, and remain friends. 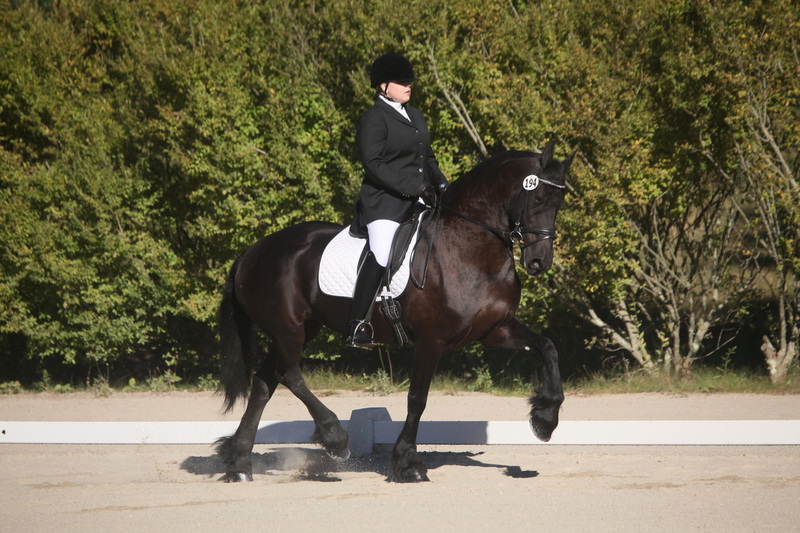 The horses continue to be managed, trained, and shown by Hennigan Friesians, while they live at Andrew's Stillwater Farm, also in Pembroke, MA. 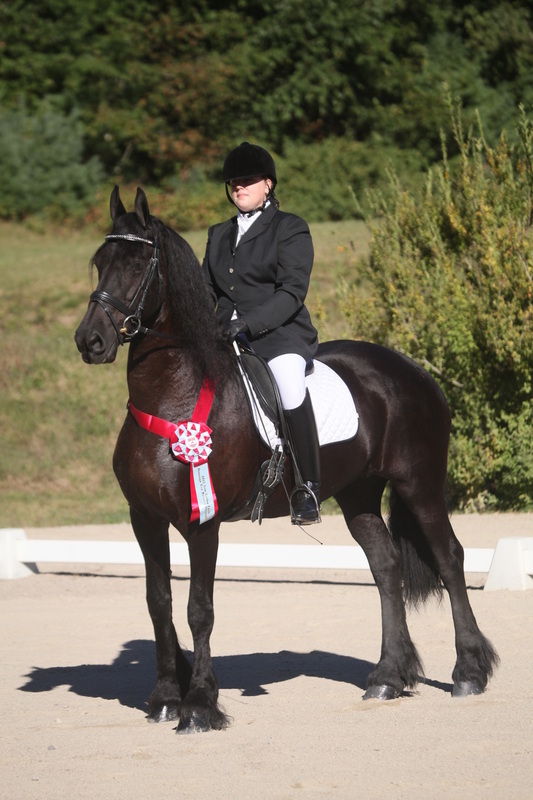 Watch for them in the show ring with Hennigan Friesians, and Lucy, Andrew's daughter, and avid horse enthusiast! Hessel does everything! 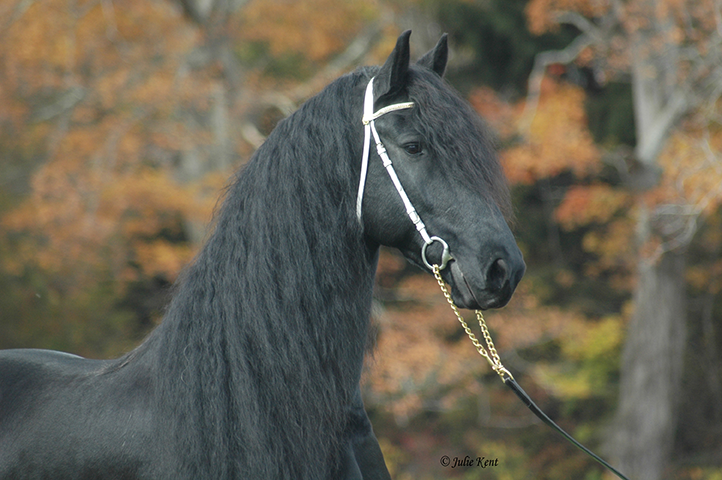 And, he is a beautiful mascot of the Friesian breed with his thick long mane and forelock, effortless movement, and sweet & laid back personality. He likes to drive, and ride, and he loves to eat grass! He's happy doing anything, a cheerful and quiet soul to be around, he's a joy. He drives around the property with Andrew, and also takes clients of Protectowire for a drive occasionallly at a Protectowire event. He will do anything for a carrot or a mint. Hessel made it to the 70 day test for stallion approval as a 3 yr old, so he is a ster gelding. Only 20-25 stallions make it to the testing, they only take the best of the best. He is superb quality. Look for him in the show ring this year going Western. It's going to be a Fun Year!! Ollie is out of the above mare Ellie and a favorite stallion of ours, Teade. He was born at Andrew's farm, and is growing up there. He was the Champion 1st premie colt at the keur in 2012, an outstanding accomplishment. He inherited his parents exquisite head and long sloping neck and shoulder, and he is an outstanding mover. Ollie has lots of presence with long legs and is just so pretty. We are very excited to watch him grow, and see what he will become! Lucy Sullivan is ready to ride! She enjoys riding whenever she can, and has caught the show bug.